If you’re eating in the Keto Zone, opting for delicious shell-less or lettuce-wrap tacos is a great option. Unless you use the store-bought taco seasoning. Taco seasoning is one of those seemingly simple products that most consumers believe are made up of a few blended spices. As they should be. But, turn the packet around and read the ingredients list, and you’ll likely find more than spices. You may even find an ingredient that could be considered a poison. 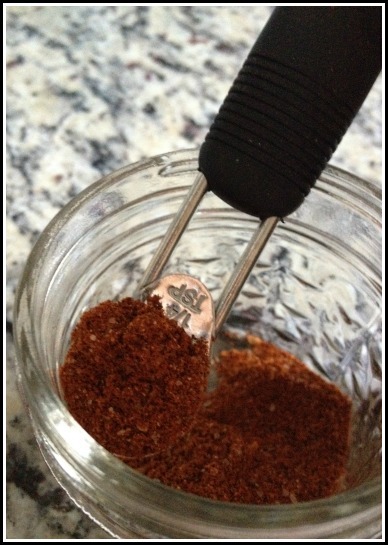 Find out which ingredients to avoid and a great Homemade Taco Seasoning Recipe below. Mix all ingredients with a good shake in a small air-tight container. Add 2 to 3 tablespoons spice mixture to 1 pound meat or protein. Salt to taste while cooking. Store mixture in a cool, dry place. To keep your tacos low-carb and in the Keto Zone, try a “taco bowl” (no shell) or use large lettuce leaves in place of a shell. A great Keto Zone Taco can have delicious ground beef, ground turkey, chicken, pork, or fish seasoned with our Homemade Keto Zone Taco Seasoning. Then, top with shredded cabbage, Keto Zone Guacamole, and a squeeze of lime juice. Delicious! Start looking at all the ingredients in commercial products and you will open a can of worms. Chemical-laden, disease-causing, inflammatory and potentially poisonous ones. Even with a seemingly benign and simple product like taco seasoning, there are many harmful ingredients. Maltodextrin, salt, chili pepper, onion powder, spice, monosodium glutamate, corn starch, yellow corn flour, partially hydrogenated soybean oil, silicon dioxide (anticaking agent), natural flavor, ethoxyquin (preservative). First, in just 2 tsp of a typical taco seasoning, you’ll consume a whopping 560 mg sodium. Some sodium, from natural salts like natural sea salt, is fine. But, when the sodium comes from monosodium glutamate (MSG), and other processed food ingredients, it’s potentially harmful to your health. In fact, many link MSG to headaches, flushing, sweating, facial pressure, numbness, tingling or burning in the face, neck and other areas, rapid, fluttering heartbeats (heart palpitations), chest pain, nausea, and weakness. Maybe most concerning, MSG can trigger severe asthma attacks in those who suffer from it. Partially hydrogenated soybean oil is towards the top of my do-not-eat-list. 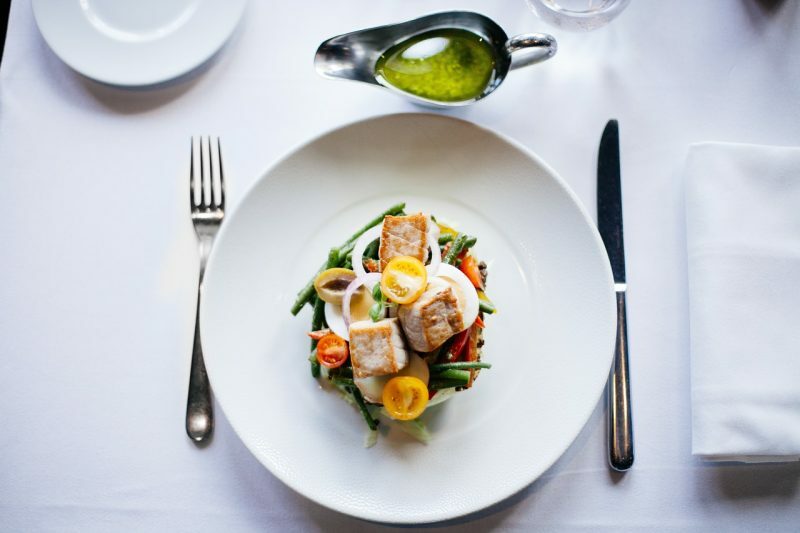 First, I’m not a big fan of soybean oil as it is a concentrated source of omega-6s, which can lead to imbalances of omega-3s:omega-6s and encourage inflammatory hormone production. But even worse, this soybean oil is hydrogenated. Hydrogenated oils are sources of trans fats, which are highly inflammatory and associated with heart disease, aging, and chronic disease. Silicon dioxide (SiO2) is also known as silica. It is a controversial ingredient. On the one hand, it is naturally occurring in the Earth, in our water, and even in our bodies. It is considered safe by the FDA. It is in many dry mixes to prevent clumping and caking. 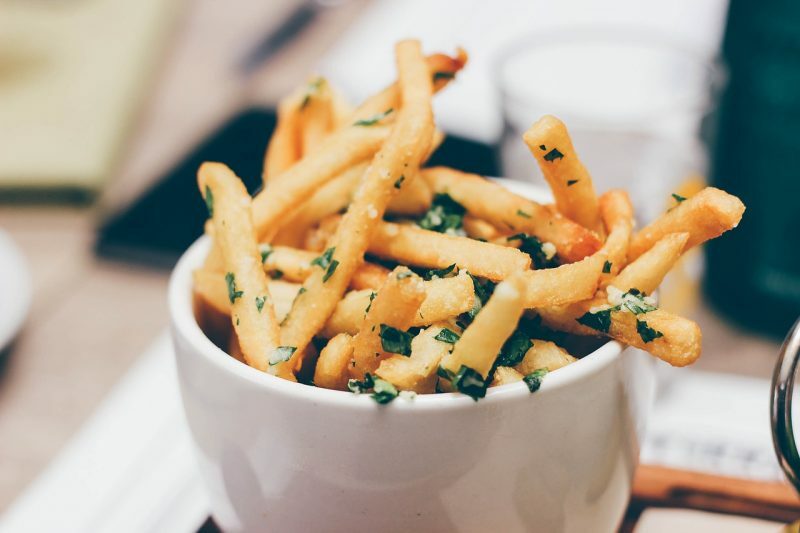 However, in 2018 the European Food Safety Authority urged their government to impose stricter guidelines on silicon dioxide in food until more research was done. They were most concerned with the tiniest molecule or silica; the tinier the molecule, the more tissues it can likely enter. While research has not correlated silica with harm, disease, or death, miners, construction workers, and others who have inhaled a lot of silica dust over years have suffered from a lunch disease called silicosis. It is a progressive lung disease that can be fatal. While the evidence is not conclusive, silica is one of those ingredients you simply don’t need and shouldn’t want in your food or body. When you make mixes yourself, you would never put it in. Instead, just give it a little anti-caking shake. Unfortunately, there’s not much benign about ethoxyquin. This synthetic antioxidant preservative was first produced to keep pears from browning. Now, it’s used as a preservative in human and pet food, and also as an insecticide, herbicide, fungicide, plant growth regulator, and antidegradation agent for rubber. It can irritate the eyes, skin, and lungs. It can cause kidney changes. Even worse, it’s considered to have a potentially lethal oral dose (1). A poison is defined as “a substance that is capable of causing the illness or death of a living organism when introduced or absorbed.” I’d say ethoxyquin qualifies. While it’s still in our sample taco seasoning, thankfully many companies are opting for natural antioxidants in human foods. None of these harmful chemicals are in Keto Zone Taco Seasoning. Instead, you get nourishing antioxidant and anti-inflammatory spices that nourish your body. Best of all, you can make it faster than you can buy a taco seasoning packet. Ditch the envelope. 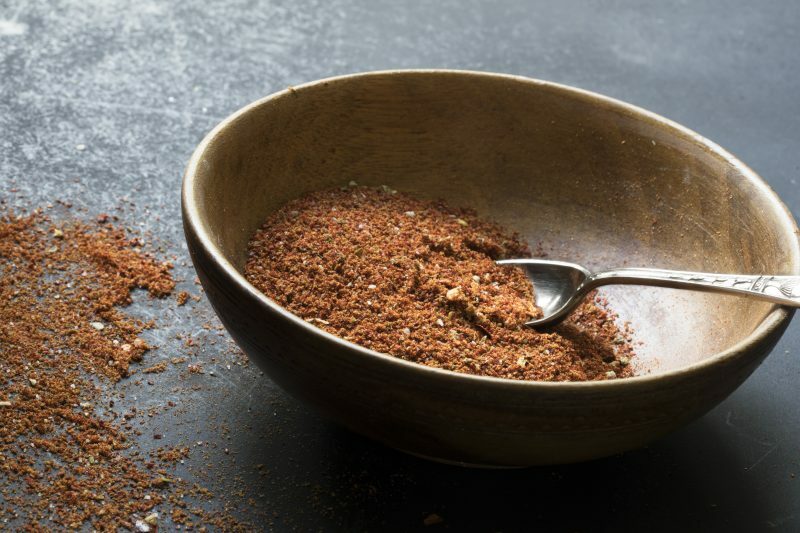 Make your own Keto Zone Taco Seasoning today. Thank you so much. This is so easy and healthy. I am really trying hard to stop using any packaged processed food. My mom is a two time cancer survivor, gastric then breast cancer. I am convinced it was a combination of bad food water and the environment. There is a lack of fresh organic foods in her community. Both cancers were found in stage one… no chemo, no radiation. She is better but all the surgery and CT scans, pet scans, anesthesia has left her so weak and with memory issues. I am her primary caregiver and I have changed the pantry and trying to buy organic as much as possible and as much as is available. Again thanks for the taco seasoning recipe. Wow, great job as a caregiver, Joyce! Yes, keep on the lookout for processed foods and harmful ingredients. It sounds like you and your mom are doing amazing. Thanks and take care! You are very welcome! Thanks for reading and commenting. Take care!